George Cheriyan Project Director of the ‘Asia Pacific Public Electronic Procurement Network (ProOb-2)’. He has 30 years of experience in the development sector, with special focus on sustainable human development. Specialized in participatory programme planning, monitoring and evaluation, training/capacity building, management of development projects/programmes. He has proven experience in administration, advocacy, public relations, liaison and networking and has exposure of traveling in more than 20 countries. He holds a master’s degree in public administration. 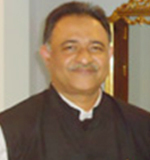 He served as a member of the Member of the three -members high level GTZ Appraisal Mission, as an Indian expert on consumer protection, to assess the feasibility of a project on “Strengthening the consumer protection in India” in 2004. Presently he represents CUTS in the Central Consumer Protection Council (CCPC) of Government of India, Drafting Committee of National Consumer Policy and the Inter Ministerial Monitoring Committee (IMMC) of Government of India on misleading advertisements. He is also a member of Roster of Experts of Global Partnership for Social Accountability (GPSA) of the World Bank and a member of international expert group on financial consumer protection of Consumers International (CI), London from November 2010. He was key part of the first phase project of ‘Setting up a Public Procurement Observatory in Rajasthan’ and let the project team in its operations. 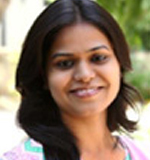 Madhu Sudan Sharma is project coordinator of the ‘Asia Pacific Public Electronic Procurement Network (ProOb-2)’ project. Primarily he is a research professional and has earned double masters’ in Anthropology and Sociology after graduated in biology. After acquiring 13 years of work experience in social sector and serving as a ‘Research Fellow’ for Indian Council of Medical Research, Government of India, he is associated with the organisation as a Senior Project Coordinator to work in the good governance programmatic area and especially has been responsible for Access to Information related interventions, health and PwDs related Interventions, Community Monitoring of Rural Roads with NRRDA, Govt. of India, Documenting Best practices of Rural Non-Farm Sectors across Assam, Karnataka, Odisha and Rajasthan with UDDP and State of Consumer Safety in India with Govt. of India. He was he project coordinator and carried out all he project activities along with the team of the ‘Setting up a Public Procurement Observatory in Rajasthan’ project supported by The World Bank in collaboration with SPFC, Finance Department, Govt. of Rajasthan and did extensive research on Procurement issues in various government procuring entities of the state. He did detailed analysis of the common citizenries’ awareness about the legal frame of public procurement of Rajasthan under the project and produced only of its kind resources for Rajasthan. Along with the project, He is also responsible for implementation of the project ‘Asia Pacific Public Electronic Procurement Network (ProOb-2)’ with the support of Asian Development Bank (ADB) and carry all its activities in close collaboration with the state finance department especially State Public Procurement Facilitation Cell (SPFC). 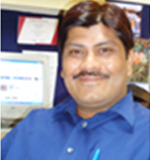 He is directly responsible for moderating the project website, conducting extensive field research on procurement related topics capturing experiences of procuring officials, venders and policy makers and analyzing the actual implementation status of the Act and rules of public procurement in Rajasthan. Varidhi Singh is working as the Project Associate in the ‘Asia Pacific Public Electronic Procurement Network (ProOb-2)’ project. She is a young development professional comes with an experience of working on diverse issues such as human trafficking, mental health and disability. She is a post graduate in Social Work from University of Delhi. Currently, she is working as a Project Officer and is a part of Governance Team at CUTS. She worked extensively on the sustainable production, sustainable consumption and organic farming related issues across the districts of Rajasthan and run a successful campaign on Promoting Organic cultivation and consumption in Jaipur city through community engagement and awareness generations. As a team member, she has worked on the project, “Insight into Indian States”, a web portal based comparative study on Rural Non-Farm Livelihood Sector. She was also a part of ProOB, Phase 1, supported by The World Bank. She will be one of the key consultants in the ongoing project.